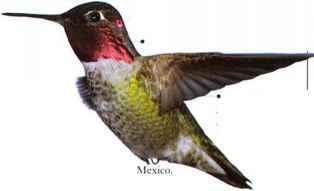 Green and violet iridescence on the crown and throat and a dark breast illuminated by a vertical white stripe feature in the Starthroat's hovering, frontal display. 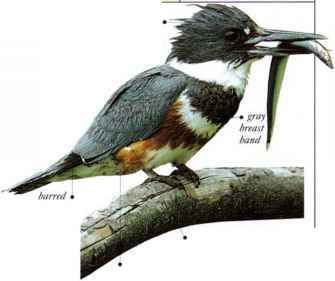 It is a bird of woodland edges, scrub, and tall grass with scattered trees. Usually solitary, it is seen resting near the tip of an exposed dead twig in a tree. Besides nectar, it takes insects in flight. I his migrant species visits birdfeedcrs and garden flowers in summer. Besides its main diet of nectar, it takes insects and spiders. • NliST A small cup nest made of plant down, hound with spidcrwebs and covered with lichen. Living in woodlands, gardens, and scrub, this bird feeds on nectar and insects. 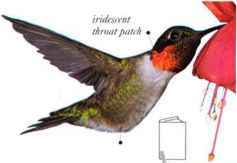 Males have a red head, females a red-flecked throat. webs, and placed on a level twig.